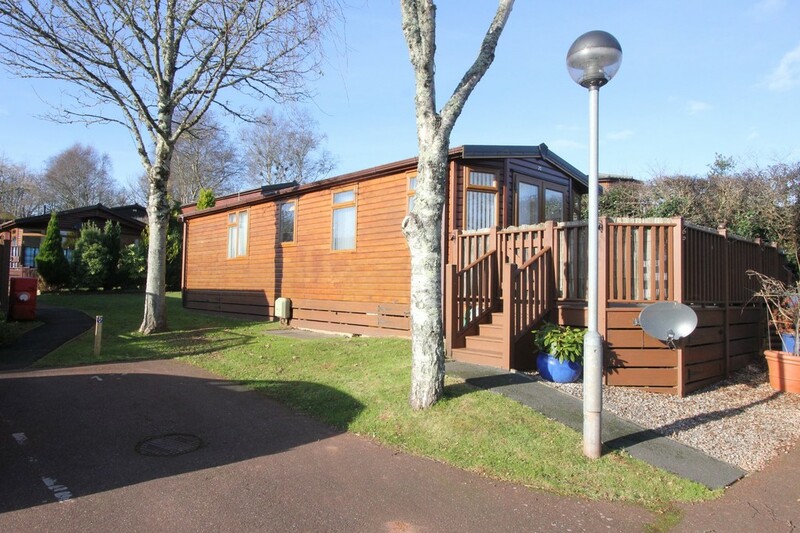 A Country Lodge Holiday Home located on the sought after Devon Hills Holiday Village on the outskirts of Paignton. This home is situated in a cul-de-sac in the South Hams View part of the site in a quieter setting and enjoys views over the area and countryside. 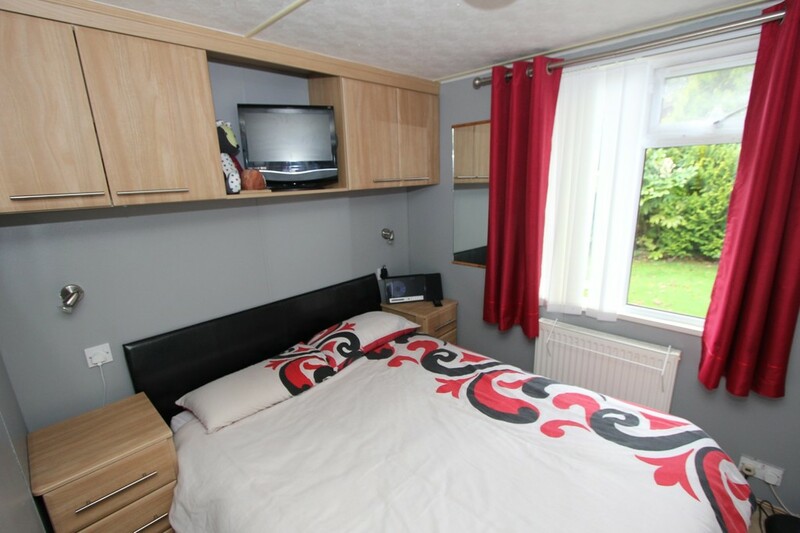 Accommodation briefly comprises; Open Plan Main Living Area with French doors, Refitted Kitchen, Inner Hall, 2 Bedrooms, En-suite WC and Dressing Room, Shower Room, Decked Gardens and Parking. Gas Central Heating and Double Glazing. Looking for somewhere to get away from it all or as an Income Generator Internal Viewing recommended. 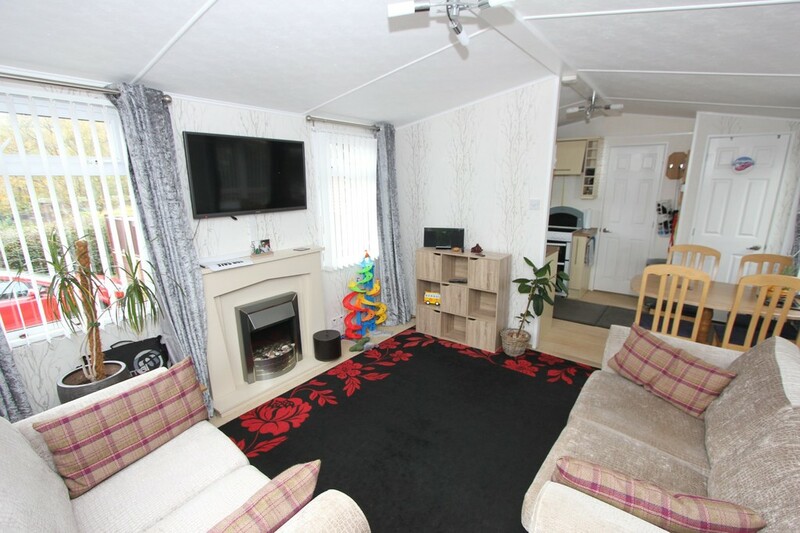 OPEN PLAN MAIN LIVING AREA UPVC double glazed windows to each side and UPVC double glazed French windows to the garden. Views of the surrounding countryside, area and distant sea glimpses. Flat-screen TV. Radiator with decorative cover and mirror above. Electric pebble effect fire. 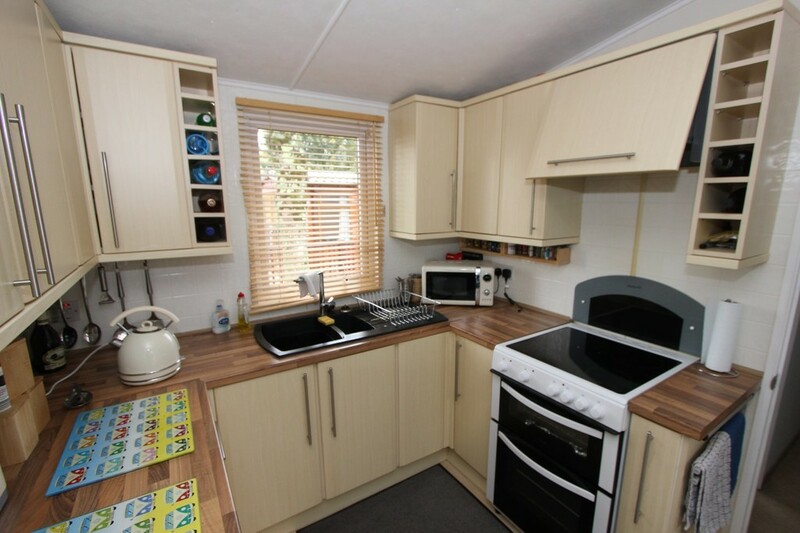 KITCHEN AREA Kitchen - A range of wall and base units with rolled edge worktops and tiled surrounds. One and a half sink and drainer. 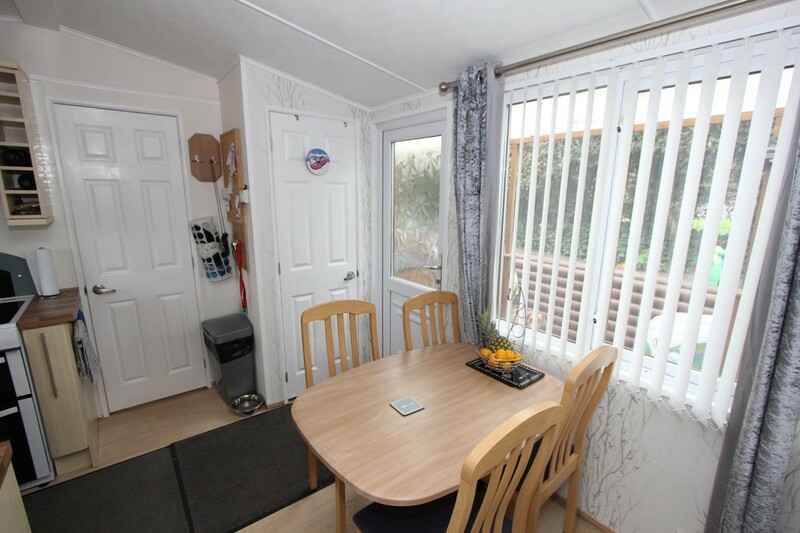 UPVC double glazed window with views of the surrounding area and countryside. Electric cooker with hood over. Wood effect vinyl flooring. Space for fridge under unit. Door to cupboard with combi boiler. SHOWER ROOM UPVC double glazed window. Low level WC. Shower cubicle with glass door. Pedestal wash hand basin. Large vanity cupboard. Laminate flooring. Part tiled walls. Radiator. BEDROOM 1 UPVC double glazed window. Radiator. Fitted bedroom furniture. Dressing room- Hanging rail. Dressing table. Fixed mirror. 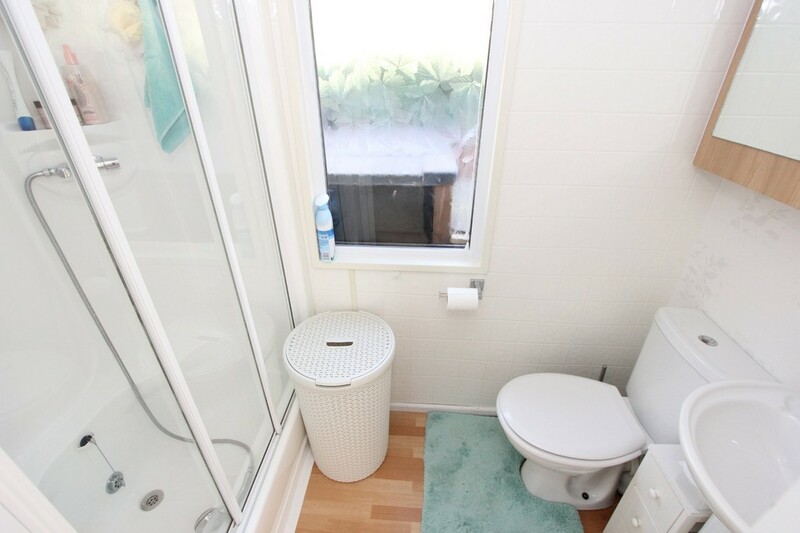 EN-SUITE CLOAKROOM Low level WC. UPVC double glazed window. Wash hand basin. Radiator. Vinyl flooring. 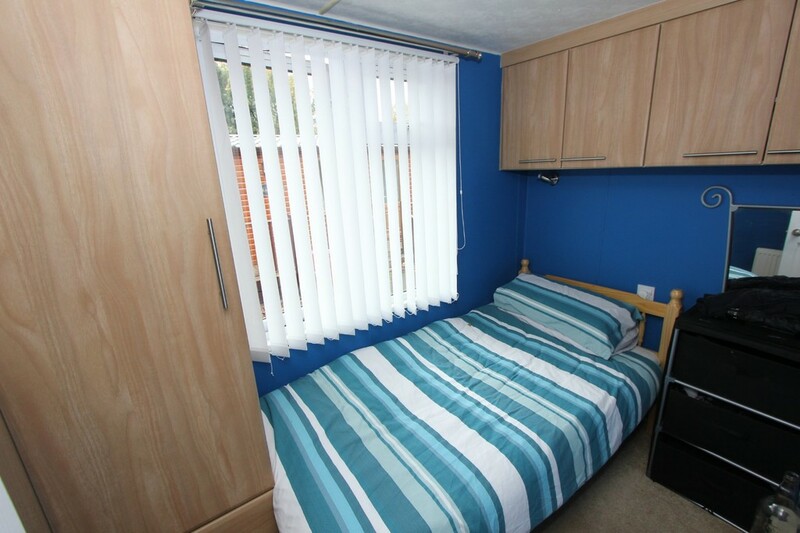 BEDROOM 2 UPVC double glazed window with views of the surrounding countryside and area. Radiator. Fitted bedroom furniture. Fixed mirror. OUTSIDE Wooden gated access to front and rear. 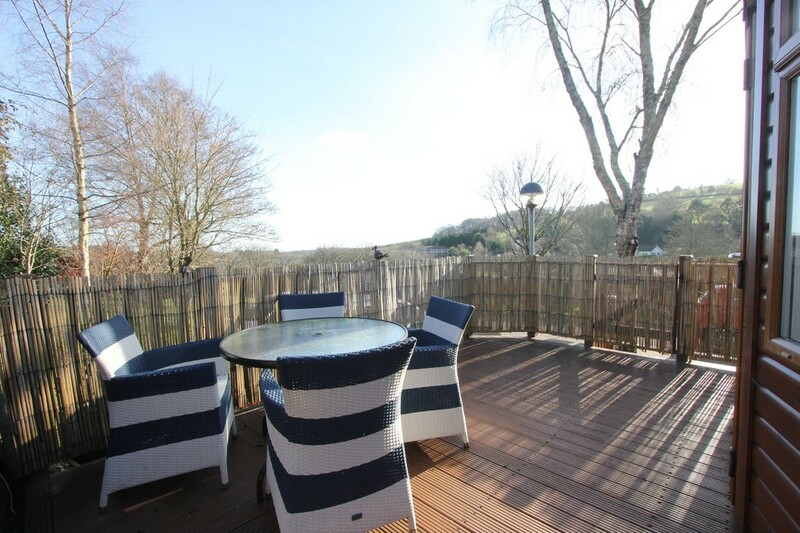 Decked garden with wood balustrading enjoying views of the surrounding area and countryside with distant sea glimpses. 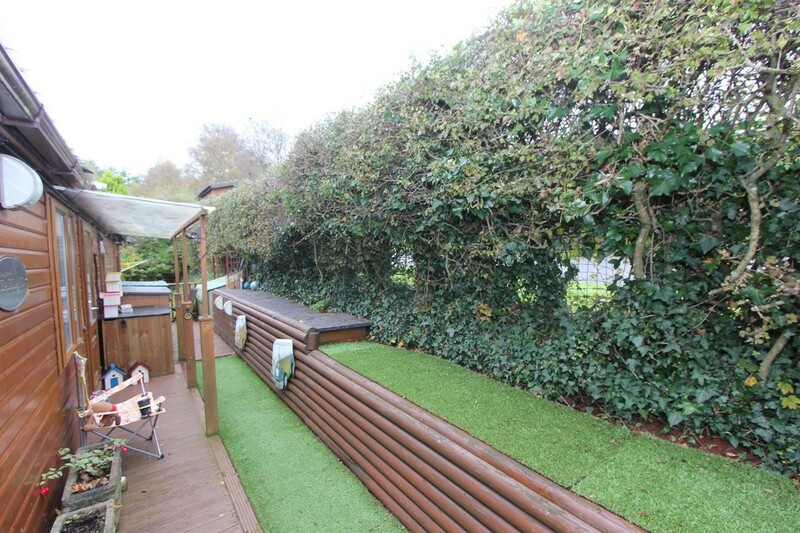 Side storm shelter and astro-turfed area. Storage with plumbing for washing machine. 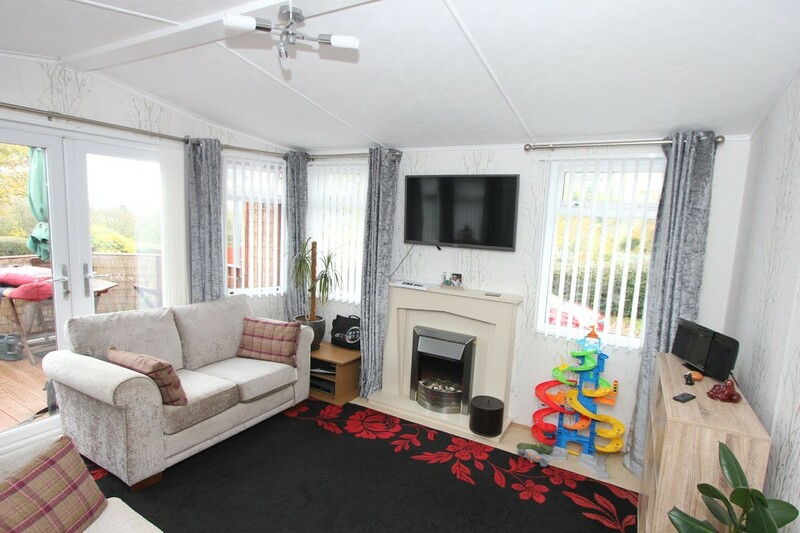 Riviera on your doorstep... welcome to Haulfryn Devon Hills." 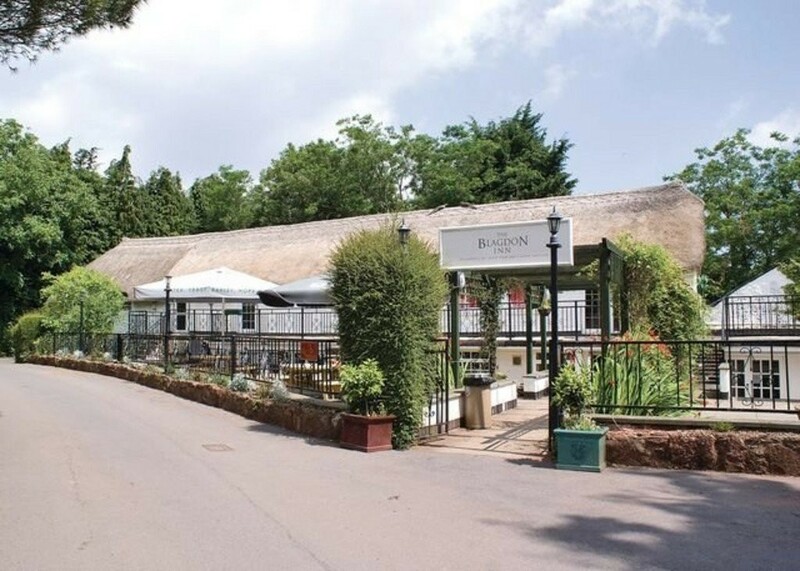 Holidaying at Devon Hills couldn't be easier. 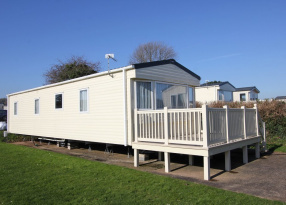 There's a choice of luxury holiday homes with accommodation for up to six guests, all set in landscaped surroundings and a few miles from the town centre of Paignton and it's glorious beaches, yet still far enough to relax and enjoy the peace and tranquility that Devon Hills offers. 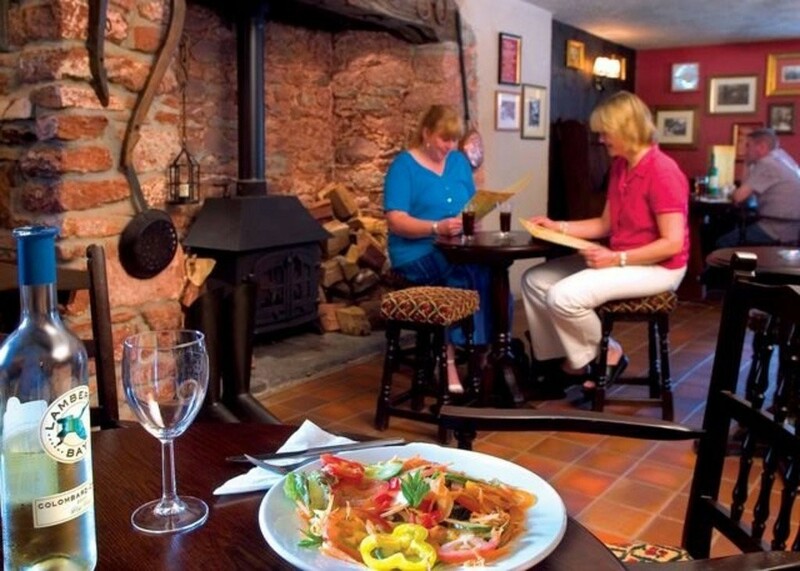 A short walk from your holiday home will take you to The Blagdon Inn, a 15th-century bar and restaurant where you can relax under the ancient beams and enjoy excellent beers, interesting wines and a full and varied menu. A 10% discount is available here when you purchase a holiday home. If you're feeling energetic you will find our fully equipped fitness centre or all weather tennis court perfect for a workout! If weight loss without the workout sounds more your style, enjoy a leisurely swim in the indoor heated pool with the choice of sauna and steam rooms for deep relaxation. The indoor heated swimming pool is open during the day for general sessions and for adults only session in the early morning and evenings. 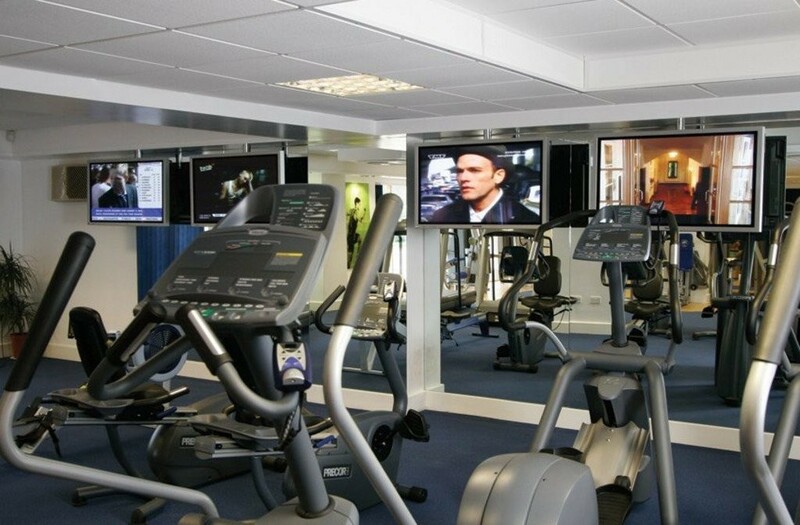 The fully air-conditioned fitness suite offers over 20 pieces of equipment to choose from; in addition to our equipment there is also a brand new extension including; Mats, Gym Balls, Stretch/Cool Down area, Free Weights room including Olympic Half Rack Incline Bench, Dips, Chins Full range of dumbbells up to 40kg Sauna & Steam Room Relax and unwind during your well earned chill out time, rejuvenate yourself in our sauna & steam room open daily. Health and Beauty treatments available. 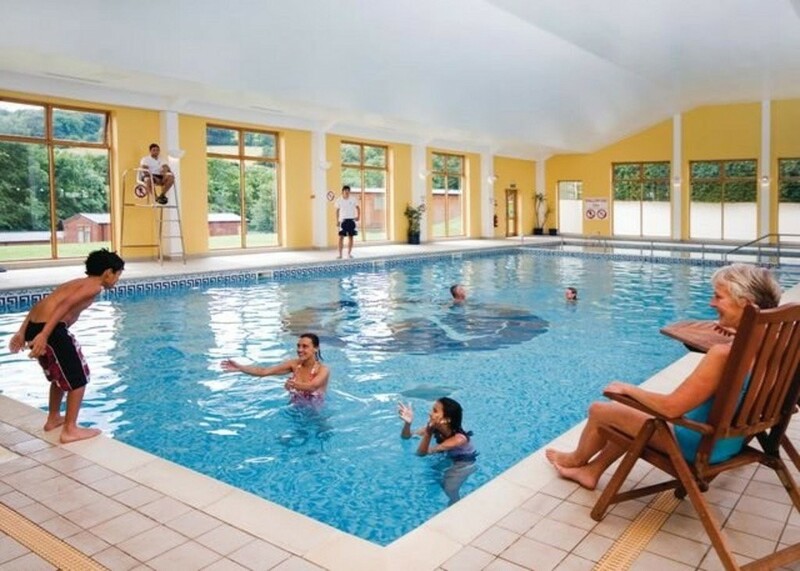 We have a superb 18 metre heated indoor pool, kept at a constant heat. Swimming is a great all round workout, as well as being a fun leisure activity. You are entitled to 6 passes to the fitness suite and swimming pool when you buy a holiday home. Take in the fresh air and scenery whilst indulging in a competitive yet fun sport on our outdoor tennis court. 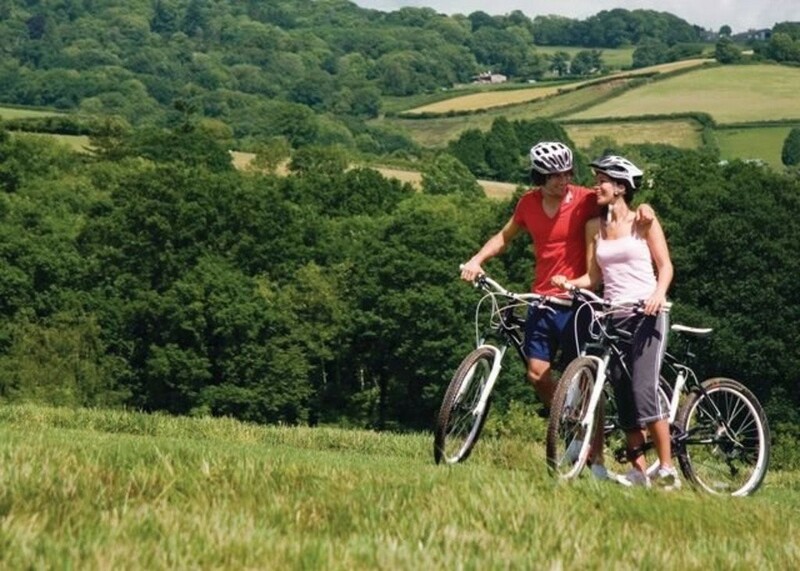 Devon Hills Holiday Village is open 12 months per year and the homes are to be used ONLY as holiday lets or as a second home. 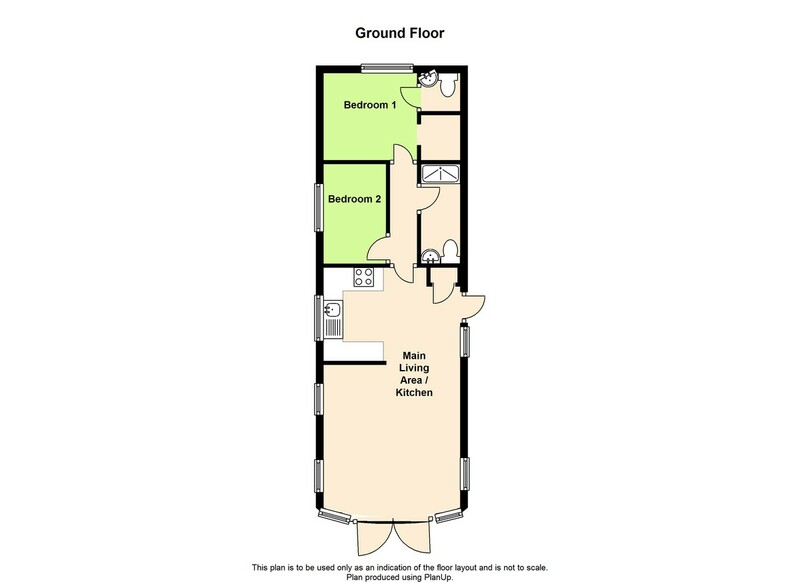 AGENTS NOTES We are told the Lease expiry date is Nov 2021 and service charge currently running at circa £4200 per annum.